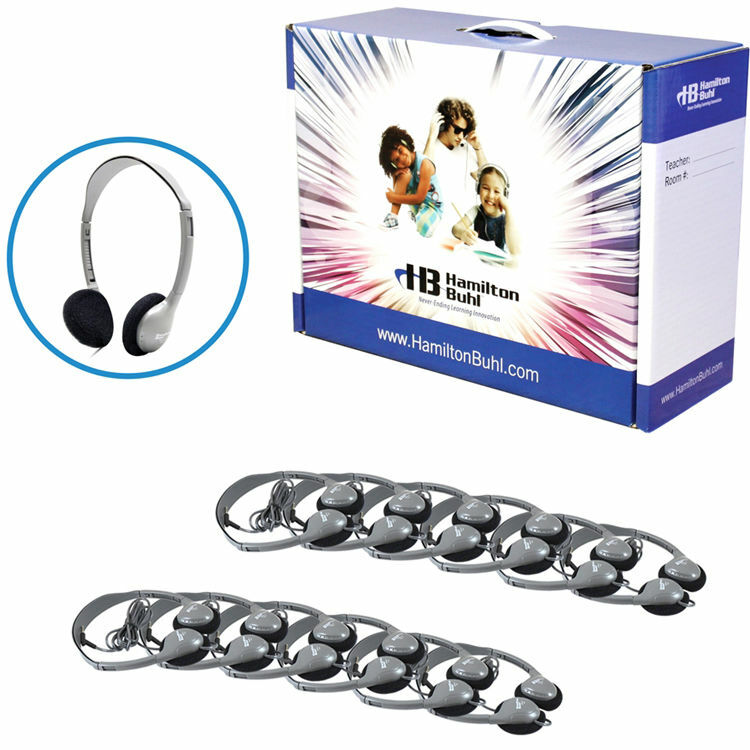 The LCB/12/HA2 headphone lab pack from Hamilton is a great choice for use in schools. 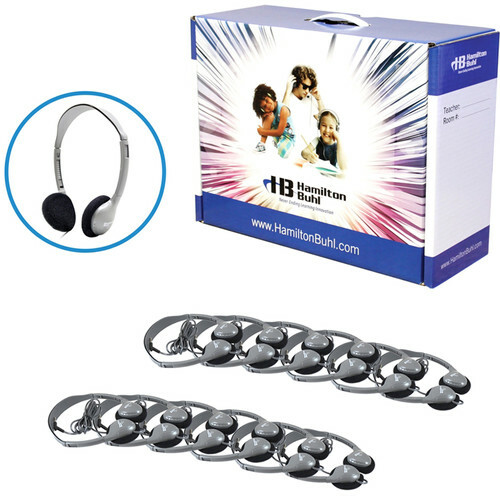 This kit comes with 12 sets of HA2 headphones, allowing you to eliminate headphone sharing between children, reducing the spread of head lice. Each pair of headphones has its own resealable bag, which kills lice within 48 hours without chemicals. The headphones have an adjustable headband to fit any head size, and the foam ear cushions provide comfortable listening. The headphones can automatically detect whether they are plugged into a mono or stereo audio source, so you can plug into any piece of equipment without worry. The headphones have a standard 3.5mm mini plug and a 1/4" adapter for use with all types of audio gear. A laminated cardboard case is provided for storing the headphones. Box Dimensions (LxWxH) 23.0 x 17.0 x 9.0"